Brinno cares for your family. We designed a unique smart door cam that offers a high degree of safety, and makes it one of the most practical home security devices on the market. 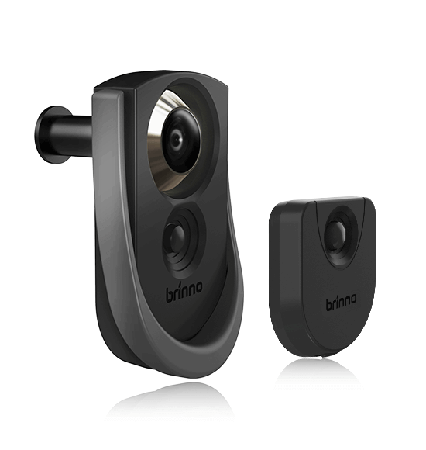 Brinno DUO ensures you peace-of-mind with minimal effort by monitoring your front door for you and your loved ones. 1The motion detector activates Brinno DUO. 2Brinno DUO captures and stores images behind the door on a local SD card. 3Simultaneously, the camera sends images of the visitor to your designated Email box and sends an alert message to your mobile phone. 4The device auto-captures visitors' images sent to the designated email as an attachment with alert message to you. A built-in LCD screen on the inside of your door helps small kids & mature adults at home clearly see visitors before greeting them and offering an increased peace of mind. Meanwhile, visitors’ images are automatically sent to mobile phone screen via email and/or the Brinno app. 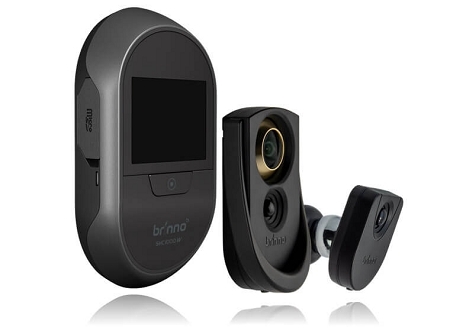 Brinno DUO watches your home for you and your family regardless of where you are. Brinno DUO creates 2 sets of visitor log files: one on the SD card in the device at home, and the other in the designated email box of your choice. No file is stored in Brinno’s cloud server. Visitor data is completely safe in your hands & at your disposal to protect your privacy. The concealed device creates an invisible security barrier between unwanted visitors and your family. No one is able to steal or damage the device unless they break in. A simple one price solution with no additional costs for professional installation, add on accessories, or data storage plans. Brinno DUO keeps your budget in check. Privacy is of vital importance nowadays when it comes to personal information protection. Brinno DUO keeps your visitor log files either on a local micro SD card in the device at home or in the designated email box of your choice. No file will be stored in Brinno’s cloud server. 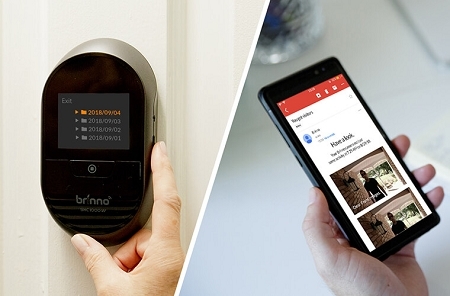 Brinno DUO installs easily within minutes without the need of fancy tools. It’s also perfect for apartment dwellers that can’t alter their residence. Plus you can install it yourself with no need for scheduling or waiting for a professional. Contents Peephole, Base flange, Tightening tool, microSD card, 4 AA batteries, User manual, Quick start guide. Package Contents Door knocker casing; Motion sensor unit (inside knocker casing); Receiver unit; Magnetic wall mount; Battery lock; Screwdriver;1 CR2450 battery.